Wearing plastic wrap under your corset is not the best of ideas. Wearing plastic wrap at all isn’t a good idea, actually. Back in 2011 I made a couple of videos explaining potential skin issues that can arise from wearing corsets improperly or in an unhygienic way – some of these issues can include bacterial and fungal skin infections, broken skin, etc. There are ways to prevent these issues, like wearing a washable, breathable and moisture-wicking corset liner between yourself and the corset, trying mesh corsets for better air flow to your skin, etc. But in this post I’ll address the two main reasons why people claim to wear plastic wrap, other types of wraps, or unbreathable garments next to their skin: for weight loss, and for detoxification purposes. Wraps heat up the body through “thermogenesis”, and helps “burn more fat” around the waist and lead to spot reduction. “Sweating out the fat” is unfortunately bad science. When I was a kid I remember an adult saying “if you’re not sweating while you’re exercising, you’re not working out hard enough, you’re not burning enough calories”. If you’re exercising, you’re taking organic molecules of fat and sugar and combining it with oxygen you breathe to transfer the energy in those bonds to ATP, and then converting ATP to ADP and free phosphorus and energy to move your actin and myosin, which makes your muscles move. This is an exothermic reaction (moving from higher energy bonds to lower energy bonds) and also a fairly inefficient reaction, so part of the energy is lost as thermal energy (aka heat). This causes your body to heat up during exertion and then your body produces sweat, which absorbs your body heat and then evaporates in an effort to cool you down. Sidenote: If your body heats up too much without a cooling system like sweating, then by the time your body reaches ~42°C (107°F), many of the proteins in your body’s cells actually lose their shape (denature) and stop working, and this can be fatal. This is why they say if you ever have a fever of over 106°F you should immediately go to the hospital. That is to say, the heat is a byproduct of exercise, but heat in and of itself does not mean that you’re burning more calories. You may might burn a tiny amount of energy just through the mechanism of vasodilation and sweating, however shivering from the cold activates your muscles and also burns calories. A sizable number of the calories you consume in a day is allotted to maintaining your body heat at 37°C (98.6°F) instead of having it cool to room temperature. What are you doing if you’re helping your body increase its core temperature more efficiently? Put another way: an engine gets hot because it’s working. Simply heating up an inactive engine will not necessarily make it work. Wraps increase the amount you sweat and “help you to detox” your body more effectively. 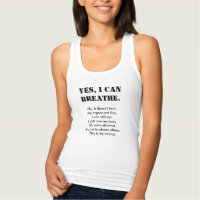 There are people who say that you can sweat out heavy metals and other toxins. This is to a small extent true, but your skin is only responsible for about 1% of the total detoxification of your body (according to toxicologist David Cruz). Your liver, kidneys, lungs, and even your gut helps with most of the detoxification of your body. Let’s say you eat something toxic. Your microbiome, partially comprised of your beneficial gut bacteria, can help to deactivate some toxins and prevent them from being absorbed into your gut in the first place, so it passes through your body instead of absorbing it into your blood stream. If it does get absorbed from your intestines, your liver should filter out the majority of toxins. Anything you absorb from your guts goes through the portal vein to the liver to be cleaned and processed before it gets into the rest of the body. Your liver has well over 500 functions in the body, so it gets “first dibs” in many of the nutrients, and it also cleans and filters the blood before it’s sent out to the rest of your body. And if the toxins still get through to the rest of the body, then the liver or kidneys are constantly filtering them to catch them again and dump them into the poop or urine. Some water soluble toxins can also be expelled through the lungs. By the time toxins are circulating through your body long enough to get pushed out of the blood stream into the interstitial fluid, percolate into your dermis and be sweated out, this might mean that the other detoxification systems in your body didn’t catch them in time, meaning they are not as effective as they should be, or may be overwhelmed. Of course, sweating is good (even if it is a relatively inefficient form of detoxification). But your skin would not be a form of detoxification, however small, if it weren’t necessary. However, trapping the sweat in next to your skin for hours may be defeating the purpose. In a normal situation, you sweat, then it beads up and rolls off your body, or gets wicked into your absorbable fabric, or it evaporates with the wind. But putting plastic wrap or unbreathable fabrics over your skin traps the sweat in, and that clamminess you feel when you take it off means that whatever you sweated out before, just turned around and got absorbed by your skin again. Think of transdermal patches (like the birth control patch), cortisone creams, and other topical medications which get absorbed into your skin and circulate throughout the body. Whatever you detox out through your sweat, if it stays next to your skin for hours every day, can also have the opportunity to be absorbed right back into your system. (Same as toxins that get dumped by your liver into the intestines – if you have a lazy bowel, these toxins can be reabsorbed again, but I’ll address this another day). So unfortunately, forcing your body to sweat but not getting rid of the sweat doesn’t work to detoxify the body the way that many people hope it does. Let’s say that you do sweat profusely and this sweat was wicked away. You’ve lost both water and electrolytes, and you’ve effectively dehydrated yourself. This temporarily relieves edema in your skin, and this is a well-known trick amongst body builders and fitness models to bring out the definition of the muscles and vascularity. But drink some water, rehydrate your body, and take in a balanced amount of electrolytes, and you will see plumpness return to your skin and that water weight come back. If you are personally an advocate for sweating for detoxification, I would say that a more effective way of sweating is taking a warm bath and letting your sweat be washed away by clean water. But plastic wrap is never required for waist training, weight loss, or detoxification – and for certain people, this may be doing more harm than good. What do you think about the “wraps” trend? Leave a comment below or under the Youtube video. I have some problem to my waist. But I don’t know anything about how to solving my waist. Today I clearly know about wraps but wraps can help me to solve my waist problem. I have some confused about this. I’m going some different kinds of blog and read more article about my how to solve my problem. But they don’t inform me about this. Can you help me solve my problem? 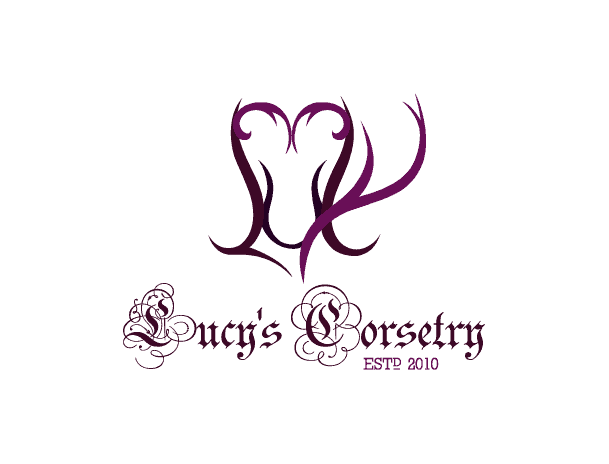 Hi Ruby, I have another article that goes into more about the differences between cinchers and genuine corsets, you may find it helpful. This is such a nice, well thought out and logical post. Logic is big around our house (I married a scientist). So. since we don’t use plastic wrap on our food since we know there can be some transfer ( the P of PVC for example or others that soften or help plastics bend ) Please excuse the layman’s terminology, I may have picked up some science but spelling chemicals and compounds is never going to happen. Doesn’t it mean we could actually be adding to the body’s load instead of detoxing? I realize this is a bit off of the subject of corsets but as you know it’s all interconnected! It’s one of the things I like best about you. I am writing about the machine that you showed for installing grommets. I have the HomePro LR and purchased it years ago and never used it, however, I am now making handbags and wondering if I can use this to install rivets on leather. I cannot find where I can get directions or anything. Do you know how this works. I have lost all paperwork except for box of eyelet tool set which has a set for rivets but do not know how to operate this at all. Can you help me find a dealership. The place that I purchased it from, I cannot get any correspondence to them. Hi Claret, I have never tried rivets with the HomePro LR and I’m not sure where to start for finding rivets and dies that fit the setter. I might start by contacting Tandy Leather though, because some of their grommets can fit the HomePro. Good luck!